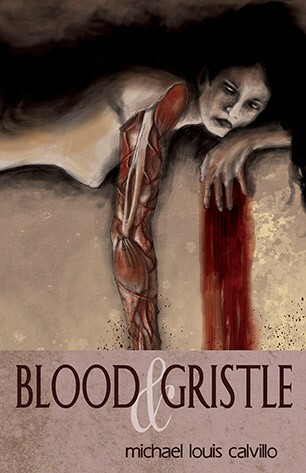 BLOOD & GRISTLE is a collection of twenty screwed up stories paired with twenty exquisite illustrations. It’s about detachable children, and self worth, and hungry, hungry, garbage disposals. It’s about boxes that shape destiny and Magic Eightballs that don’t. It’s about drugs and devils and everlasting, gnashing teeth. It’s about a crack addicted cardiologist looking for love and a nasty basilisk with a taste for kindergarteners. It’s about life and death, sorrow and fear, madness, faith, and all of the squishy, complicated stuff in between. So brace yourself, unplug the goopy gray of your brain, and get ready…things are about to get very, very messy.